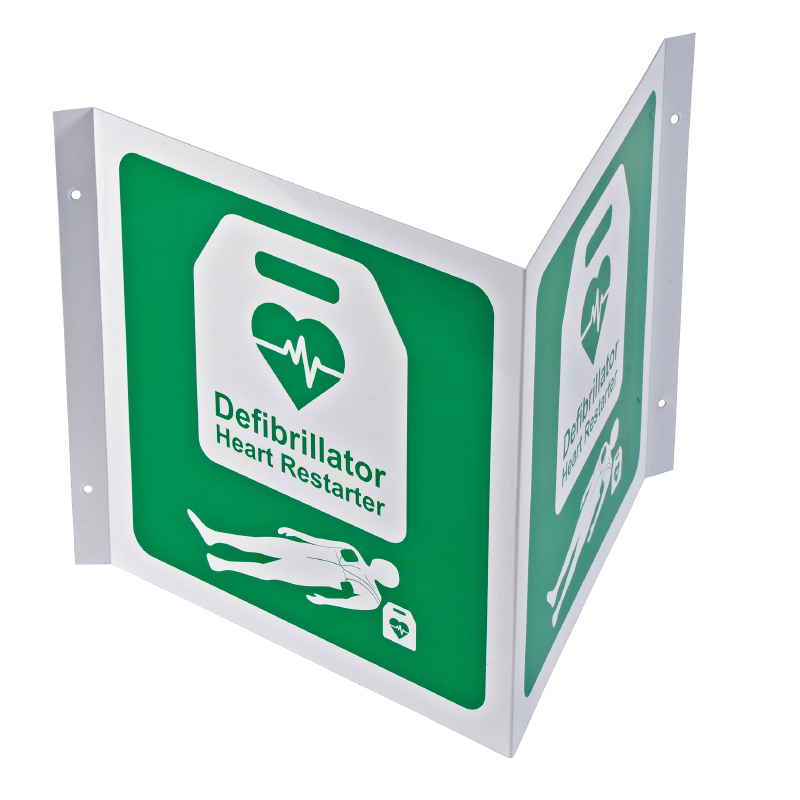 Purchase 50 or more 3D Overhead Projected AED Signs and download your free support pack worth £100. 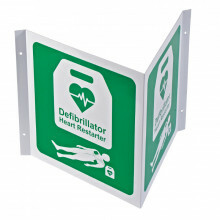 Purchase 200 or more 3D Overhead Projected AED Signs and you can have personalised covers absolutely free! Projecting 3D sign is easily wall mountable, clearly showing people from all directions that the Defibrillator (AED) is stored here. The sign comes with pre-drilled holes making it easy to install. It has a green background with white image and writing. Defibrillator Heart Restarter image is updated to meet the 2017 guidelines from the British Heart Foundation and Resuscitation Council.